Ball joints have been on most vehicles for more than 70 years. They were replacements for kingpins, but they also became essential for independent suspensions. 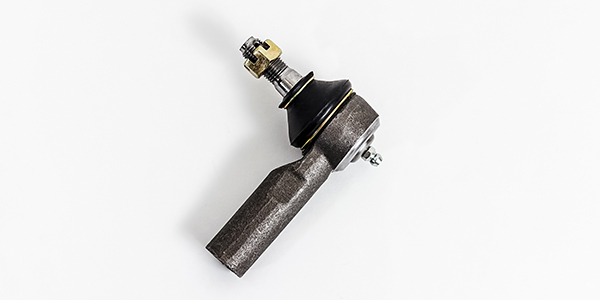 While the basics of the ball joint have remained the same, the materials have improved along with design refinements that enable the joint to last longer and carry greater loads. In the aftermarket, some manufacturers have focused on improving the OE designs and adding serviceability to the joint. All ball joints manufactured in the past 70 years have benefitted from better materials that improve every year. High-tech elastomeric materials are now used on most ball joint boots instead of basic rubber. These materials remain more pliable under different temperatures and help to keep a wide range of motion longer. These materials can withstand heat from the brakes and environmental dangers like ozone and fluids better than their predecessors. With better engineering tools, the designs of the boots have resulted in more compact packaging. Another element that has improved is the methods of sealing the boot to the base and stud. In the past, many boot designs were a friction fit where the elasticity and bellows of the boot held it in place. Over time, the materials would lose their elasticity and no longer have the ability to seal the boot against the elements. New boot designs are using metal rings to hold the boot in place. Some aftermarket manufacturers are engineering the boot and joint together with slots in the base and stud to secure the boot. All ball joints have one thing in common, grease. Grease reduces friction and wear on the surfaces of the ball and socket. For greaseable joints, it is recommended that a National Lubricating Grease Institute (NLGI) certified GC/LB rating is used for ball joints. This grease is designed to withstand extreme pressures, oxidation and prevent corrosion. Use of a general purpose or non-certified chassis grease will not offer the same level of protection as a NLGC GC/LB certified grease. 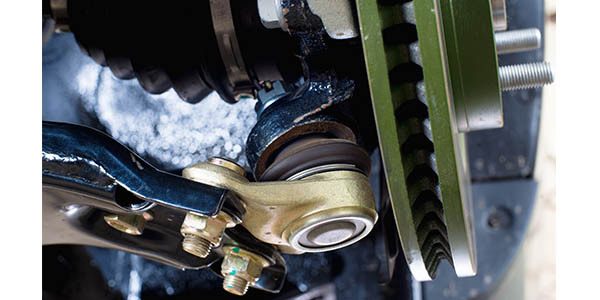 The ball joints on a vehicle generate friction that can change the how the steering feels and operates. The amount of friction generated can depend on the preload of the Belleville washer, ball/socket materials and size of the joint. As a joint wears, the material in the socket is worn away by movement and friction. Since the stud is made of hardened steel, it is the socket that wears away. When the socket wears, the stud can now move. For loaded ball joints, the play can create lateral (side-to-side) or axial (up-and-down) play. For some ball joints, the inspection method may involve removing the knuckle and using a torque wrench of “fish scale” to measure the amount of resistance on the stud. If the replacement joint has too much friction, the steering may have a different feel and the steering might not return to center as it once did. If a ball joint has too little friction, the steering feel might seem too light, or the vehicle could feel unstable. If you are replacing a lower ball joint, you may feel that it requires a lot of force to move the stud. If it is a loaded joint, this is normal if the joint has not been lubricated. The materials used to manufacture ball joint boots have improved by leaps and bounds. New materials can last longer in extreme conditions while having the same range of movement. New material and boot designs seal better and can retain grease longer. On both sealed and greaseable joints, the boot is the most vulnerable part. If a boot is torn or is no longer adequately retained on the stud or body, moisture and contamination can enter the joint. Inspection of the boot is just as important as measuring play. Looking for damage might require running your finger around boot. The advantage of the greaseable joint is that when the joint is filled with grease, the grease will escape out the hole. How the boot is retained on the stud and base has also improved. Some ball joint manufacturers have reduced the size of their boots to minimize the possibility of boot damage and to enhance retention of the boot on the stud and base. When installing a ball joint or boot, look at the manufacturer’s instructions and recommendations. Some boots are retained by a lip on the ball joint’s body, while others may use a snap ring at the top or bottom. Using universal boots is never recommended. These may not offer the same range of motion and expose the joint under certain conditions. When you are lubricating a ball joint through the Zerk fitting, you are not just “topping off” the grease. The grease can flush debris and moisture out of the joint. This is one of the main advantages of a greaseable joint. Most greaseable joints have a relief valve where the boot meets the stud. When grease is pumped into the joint, the old grease will be forced out the relief valve. The right amount of grease in the joint and boot acts as a seal that occupies space that water and debris could take up. Pump only enough grease until fresh grease can be seen coming out the relief valve. If the grease is not coming out of the top of the boot, do not keep pumping. The pressure inside the joint can dislodge the boot from the base. Try clearing the relief valve with a blunt pick to remove the obstruction. Some suspensions are cramped and there is limited space for a grease fitting, much less a grease gun. This has been remedied on some replacement joints by offsetting and recessing the grease fitting so it can be greased with a special adapter. To check a loaded ball joint, place a jack or jack stand under the lower control arm to support the weight of the vehicle. Attach a dial indicator to the lower control arm and set the dial in a vertical position to measure axial runout at the steering knuckle. In the case of an all-wheel-drive front ride strut or independent RWD, it may be necessary to mount the dial at the CV joint. Moving the steering knuckle can check lateral runout. For a short/long arm (SLA) suspension that has the coil spring over the top arm, the upper joint is loaded. To check the joint, the upper control arm is supported to unload the joint. If the ball joint has a built-in wear indicator, joint play should be checked with the vehicle on its wheels. These designs are rare these days. 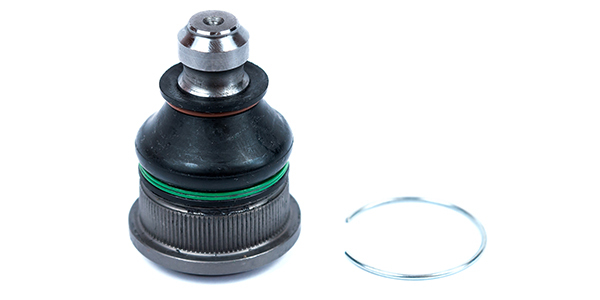 To check a follower-type joint, the Belleville washer or spring is loaded or compressed to check for axial end play. For a strut-type suspension, place a jack stand under the cradle to allow the strut to fully extend. Attach the dial indicator clamp to the lower control arm and set the dial in a vertical position to measure axial runout at the steering knuckle. Place a jack under the ball joint and load the joint by raising the jack. Turn the steering wheel and observe the ball joint to check lateral runout. For an SLA suspension, the upper control arm can be blocked, and the joint can be compressed. Attach a dial indicator to the steering knuckle and place it in a vertical or parallel position to measure axial runout at the lower control arm. Moving the steering knuckle can check lateral runout. Never allow an impact wrench to spin the stud in the joint. This can damage the joint by heating it up due to friction. The heat and motion can hurt a plastic joint inside the joint. Even if the joint is metal on metal, the fast rotation can displace the grease. This is why OEMs and aftermarket chassis suppliers have tiny bolt heads or recessed Allen heads to hold the stud while the nut is tightened. Some aftermarket manufacturers are including wrench flats lower on the stud to make installation easier. Stud designs have changed to accommodate aluminum knuckles. If you see a ball joint stud with a 45-degree taper and a long threaded stud, chances are it is going into an aluminum knuckle. These typically have torque angle specification that recommends an initial torque specification followed by an angle. Failure to use the correct procedure will result in a broken fastener or a loose joint that can damage the knuckle. There is a debate among technicians on which is better — a sealed ball joint or a ball joint that can be greased. The problem with the discussion is that it is not a question of the type of joint is better; it turns into a debate about applications, engineering and how the owner uses and maintains the vehicle. 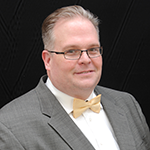 It is a myth that OEMs eliminated Zerk or grease fittings as a way to reduce the cost of a vehicle. The elimination of the Zerk fitting was because of improvement to joint materials like the boot and socket. But, it does not mean that all greaseable joints were eliminated. In the aftermarket, greaseable joints are still available for some applications. Greaseable joints never went away. In fact, the same material improvements that made sealed joints possible, made greaseable joints even better. Also, the greaseable ball joint has also evolved with innovations in bearing design and serviceability options.